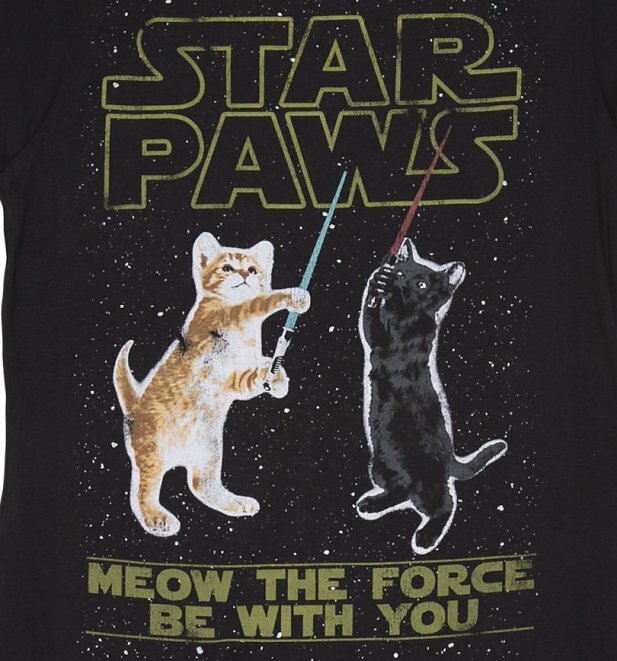 Yes, we think a round of a PAWS is in order for this amazing, new creation by TruffleShuffle! 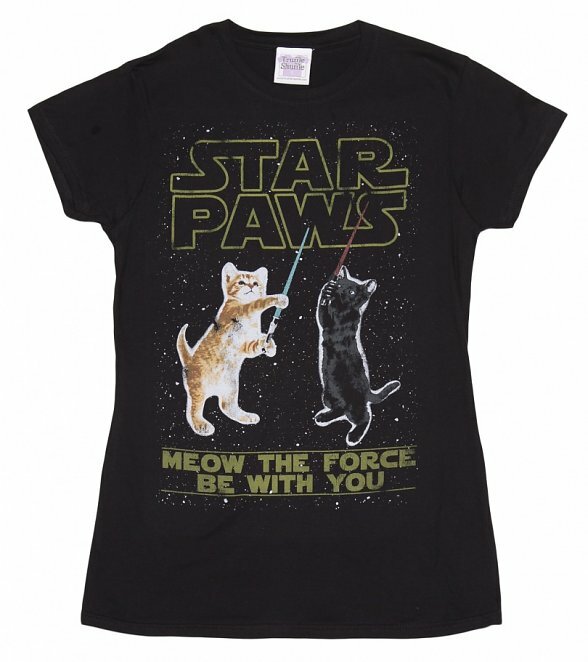 Featuring a sci-fi spectacular print with STAR PAWS logo and kitties brandishing light sabers, we think this is just PURR-fect! 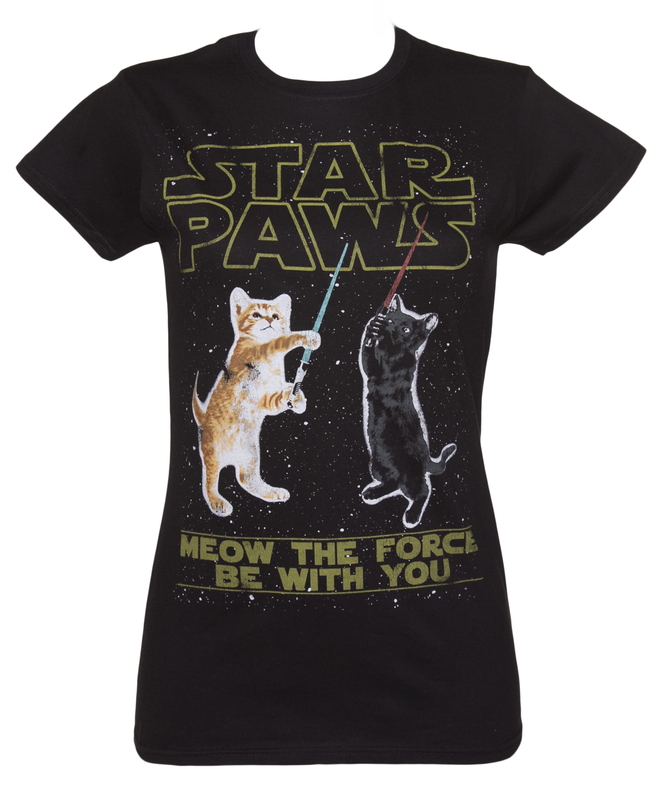 A fantastic, feline twist on a true, cult classic! 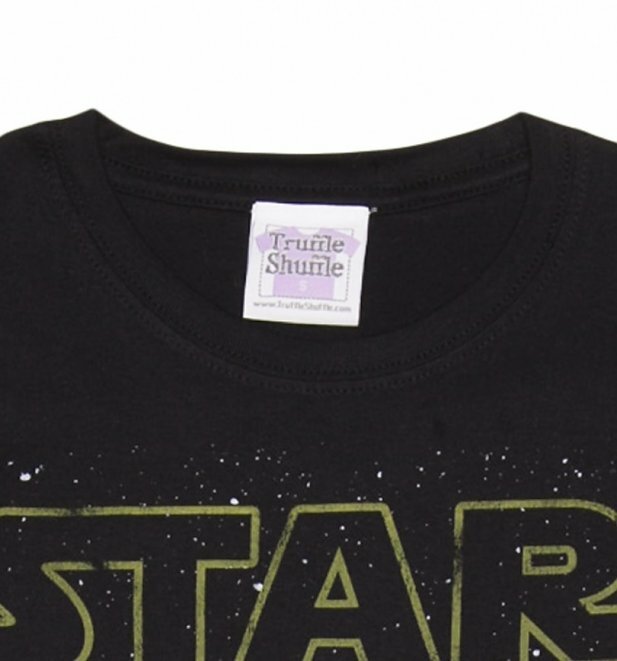 Review: This is the funniest t-shirt ever. Got it for a present and she just laugh so much! Size was smaller than expected (although it is well explained on the website, I just guessed it and didn't read all through, so please, read the size guide). 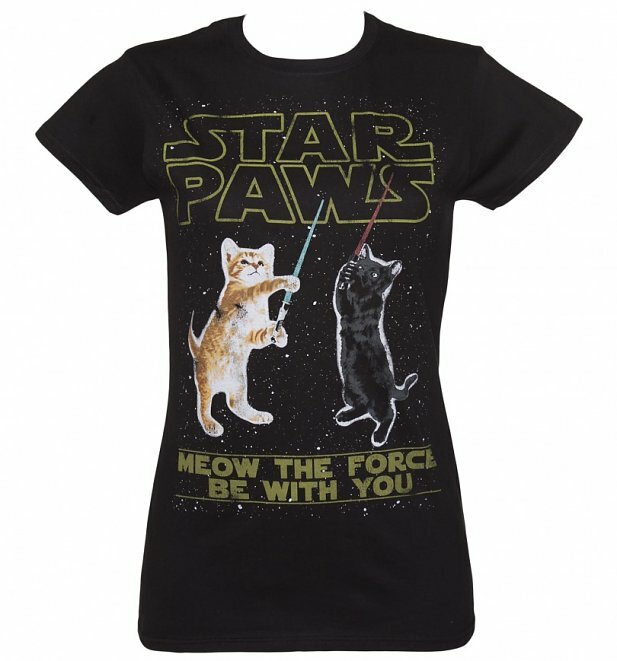 11706Womens Star Paws Parody T-Shirthttps://www.truffleshuffle.co.uk/product_images/Ladies_Star_Paws_Parody_T_Shirt_1001_X_1075_1.jpg19.99GBPInStockGBP/t-shirts-and-clothing/women/movies/movies/star-wars/t-shirts-and-clothing/t-shirts/gifts-for-geeks/everything-else/t-shirts-and-clothing/t-shirts/classic-tee/everything-else/cats/gifts-for-animal-lovers/black-charcoal/truffleshuffle/70s/exclusive/gifts-under-2019.9900Yes, we think a round of a PAWS is in order for this amazing, new creation by TruffleShuffle!